Veleno Doré is a popular perfume by LM Parfums for women and men and was released in 2017. The scent is sweet-fruity. It is still in production. 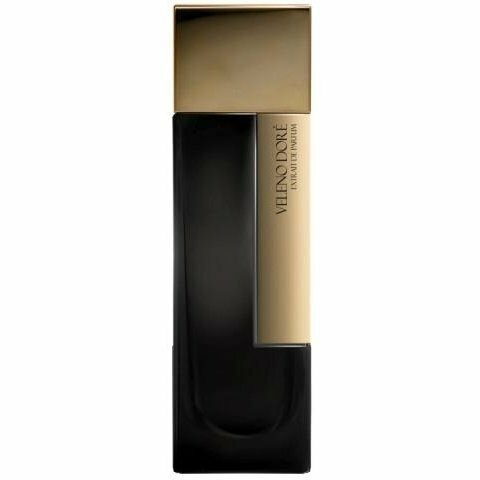 Veleno Doré came to me as a sample from a very generous donor, otherwise I would never have tried the fragrance, because it doesn't really fit into my baggage scheme. 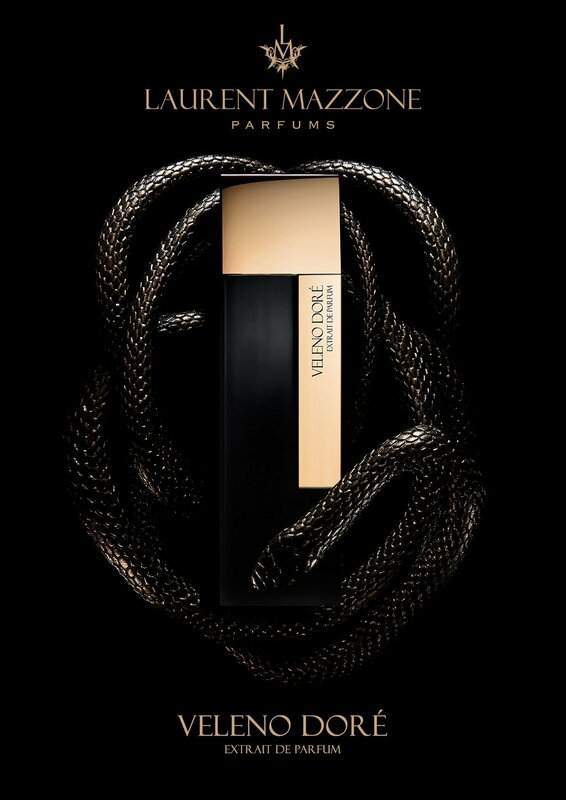 But I would have missed - even if the "golden poison", a hybrid Italian-French naming - a highly interesting fragrance experience, even if the mixture will not go on my wish list. In my opinion we have here first of all a black cherry scent in front of our noses. This black cherry dominates all fragrance phases. We shouldn't imagine extremely sour pickled sour cherries that make us crumple our faces, but it's nice dark, round, fruity, juicy and yes, a little sour. I'm usually anything but a friend of fruit notes in fragrances, but here I like that very much. The dominant cherry prevents the sometimes quite dark and mysterious scent (which, by the way, is also very solid and impressive in value) from venturing all too far into the wicked-exciting or dangerously repulsive. She's kind of grounding the scent: As soon as one has too abysmal associations with the scent, the image of a delicious cherry cake or a cheerfully chewing child with smudged cheeks is pushed in between. Many years ago, when I still smoked, I used to love the English filterless Virginias of the brand "Sweet Afton" very much. The very smell of it came to mind with Veleno Doré. By the way, the packaging of these cigarettes (both the tin cans and the wide cardboard packaging) were, at that time, still without the horror pictures and warnings that were certainly justified from the point of view of health policy; one can still google their images, just as a work of art as the smoking goods themselves: On them was a portrait of the Scottish poet Robert Burns, a lovely river landscape and a few lines from a poem by Burns on the river Afton: "Flow Gently, sweet Afton among thy green braes, flow gently, I'll sing thee a song in thy praise"
Black cherry virginia cigarette, which results in a highly original and certainly rare basic structure for this fragrance, at least for its first hours. The fragrance pyramid shown here is largely plausible for me, whereby I do not feel any chili sharpness and assume that this note has only been used in very small doses to round it off. As I said before, the heart tobacco and the basic cherry bang into my nose from the very first second. I read "head", "heart" and "base" more like the soprano, alto and bass voice of this fragrance. 2. Hour: Steady and homogenizing. Ambry deep freshness. Benzoe? Suddenly bitter and a little dirty chocolate note that wasn't there before. Pat school sweetie. Tobacco now less. 3. Hour: Cherry Coke. Velvety. Vanilla!!! Patchouli! 4. Hour: Again very dark, smoky!!! 5. Hour: Vanilla. Very round, very smooth, very soft. When tracing again quite clear tobacco. Now the scent accompanies me already for the eighth hour and, although it has become quite close, still holds out bravely. Since about two hours he reminds me enormously of the wonderful base of one of my favourite fragrances, "Opium pour Homme EdT", which according to the pyramid doesn't have what it takes to become a twin, but at least also gets dark fruit (there: black currant) and vanilla.